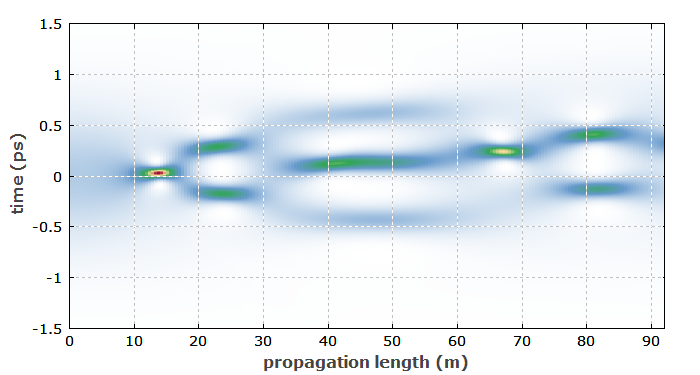 Higher-order soliton pulses in a fiber are simulated with the software RP Fiber Power. 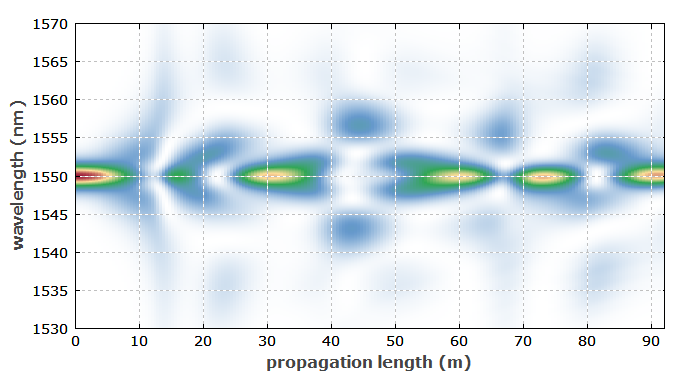 Here, we simulate the evolution of higher-order soliton pulses in a fiber. The chromatic dispersion is calculated with the mode solver. As there is significant third-order dispersion, the soliton evolution somewhat deviates from that expected for a fiber with only second-order dispersion – particularly if the initial pulse is rather short. The simulation is done with an initial pulse which would correspond to a 4th-order soliton if there were no higher-order dispersion. Figure 1 shows the evolution of the temporal shape. Figure 1: Temporal profile of the pulse, as it evolves along the fiber. The fiber length is taken to be just one soliton period (92 m). Figure 2 shows the same as a color diagram. Here, one sees more clearly that the initial pulse is not fully reproduced in the end. This is due to higher-order dispersion of the fiber. For longer pulses, this effect would be less pronounced. Figure 2: Evolution of the temporal pulse profile. Figure 3 shows the spectral evolution. Figure 3: Evolution of the optical spectrum. Figure 4 is an animated diagram, showing the evolution of the spectrogram of the pulse. 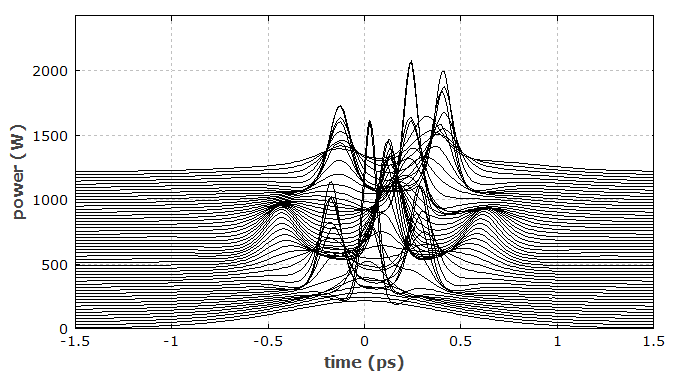 Figure 4: Evolution of the spectrogram of the pulse.